Cast your mind back. To Sunday, August 30, 2015. Reading & Leeds Festival weekend. Main Stage. Reading element. 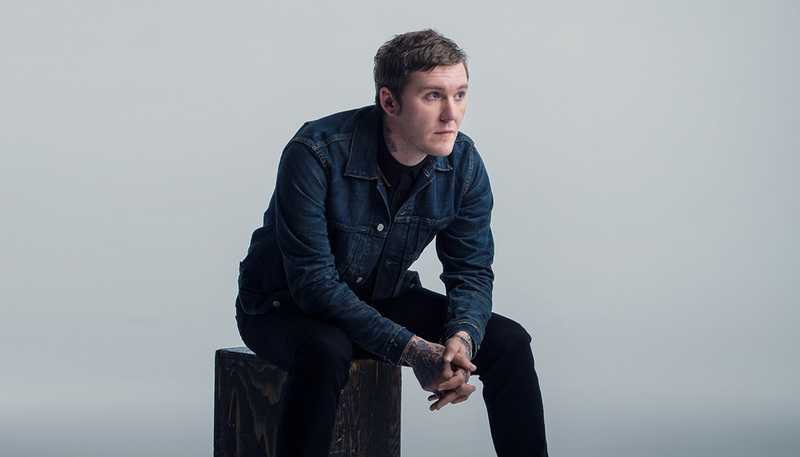 Guitarist, frontman and principle songwriter Brian Fallon is centre stage. He’s captured on camera, smiling a weak smile. The fact is that he is striking a line under what amounts to the last ten years of his and his band’s professional life. It cannot be the least bit easy. It has been announced in the media ahead of this final run of shows that New Jersey four-piece The Gaslight Anthem is going on permanent hiatus. Throughout this finale, they look to a man all-in. Battered. Beaten. Out on their feet even. Theirs – on one level – is a tale of outsiders making good. Of a rise from independent label to major. From club gigs to festivals. Opening act to headliners. But essentially it’s a billion shows in a million places – with five albums of work behind them – and nothing to show for it. This is the set of circumstances that has brought them here. To just this. To saying goodbye. And it doesn’t feel the least bit triumphal. Or what they deserve. It feels crushingly, achingly sad. In this final hurrah the pounding drums sound little more than tubs thumped. And their famed screaming guitars just howl. And worse still, the voice – that voice – HIS VOICE – is worn down to barely selling in the words that accompany the songs he wrote. And he smiles through the pain. Out there in front of them is an all-points-of-the compass festival crowd – it’s a place where not enough people know what’s happening. And even fewer care. The adrenaline isn’t enough on stage and the guitar stance isn’t anywhere near cockily wide. They look lost. Forlorn. It’s over. It is unilaterally, jarringly, chillingly sad. It’s glib and easy to say that bands come and go. But not when it’s your band. After years of ‘quite liking’ any number of acts that nearly fitted the bill, The Gaslight Anthem and all its blue-collar grit, guitar fury and romantic songs of boys-and-girls-in-America have produced record after record that are loved. Accessible. The playing committed. And in ordinary detail, simply and simplistically uplifting. And with the band, every night spent up on that stage is spent trying to make it all count for something. Roll forward and it’s time again to see whether this now 38-year-old from Red Bank, New Jersey accompanied by a new set of musicians – people still trying to make it count in that same way – can they do just that. Can they make it mean something? The rumours are right. It’s to be a two-hour set in Nottingham, the lengthiest of this run. An early onstage time is in place to fit in material from two solo albums Painkillers and the recently released and critically acclaimed Sleepwalkers, with previous shows on this tour covering all but a single Gaslight Anthem track. It’s an indication of confidence in the material, if nothing else. Fallon has already played for superfans at Rough Trade down in Hockley. Now Rock City is primed and ready. And listening. Bathed beneath a predominately golden lighting scheme – setting off a ‘somewhat controversial’ camel-coloured leather jacket that is worn by the singer throughout – the show transpires as a chorus-heavy tour de force. With no instrument changes – safe for shifts spent at the piano – set highlights are songs ‘Forget Me Not’, from the new record, and ‘Ladykiller’, courtesy of side project The Horrible Crowes. The encore includes ten-storey-high anthem ‘The ’59 Sound’ (played at the piano) and U2 lighter-lifter ‘Still Haven’t Found What I’m Looking For’ – performed as an ensemble piece that includes support act Dave and Tim Hause, who were excellent earlier in the evening. ‘The ’59 Sound’ is a song that evidently means the absolute world. Purportedly written around the noise emanating from a vintage amplifier. About what it feels like to hear what it sounds like to plug in and play. But now it’s more than that. It’s symbolic of what a band means to people that live lives only spent ticking over. Suspended between the times their band hits the road and the times waiting for them to return. As evidenced by the number of people having attended all of the dates on this UK leg, it now constitutes any number of Fallon fans just waiting for the world to turn. As for the show itself, he appears relaxed. He talks to the crowd throughout. He’s a star in that. Whereas, curiously, the band don’t quite sing enough to secure lift-off – even with the approval of the crowd to do so – and shying away from the opportunity to put a foot on the monitor and let rip. It’s an opportunity ducked rather than missed. But still – and on tonight’s evidence – it remains an embarrassment that the world has missed Brian Fallon and his songs the first time round. 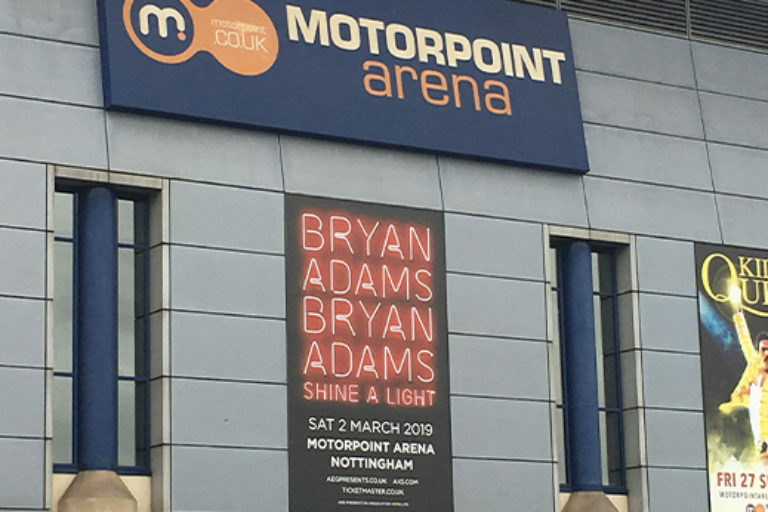 And there remains nowhere better than Nottingham’s Rock City and the two thousand people in house on this perfect Saturday night to present yourself to the world. First, second or even third time around. The tour heads to Bristol tomorrow. And let’s hope we are all up to speed when the day of reckoning drops. It’s a touring show with purpose. All blue jeans and white t-shirts. The Gaslight Anthem return to mark ten years since their breakthrough album dropped. If you don’t find yourself crying with shame in missing it on the first pass then you’re not really a music fan. If you don’t see them next time around then I’m not sure we can be friends. Fall in line. Know what it’s like to love music. Musicians. Musicianship. Musicality. Brian Fallon sits within a middle tier of brilliant songwriters. Inhabiting that space somewhere between Randy Newman and Paul Westerberg of The Replacements. Missing him first up is poor. Missing him now, if you weren’t at Rock City, is an oversight. Missing Brian Fallon for a third time is tantamount to inexcusable.